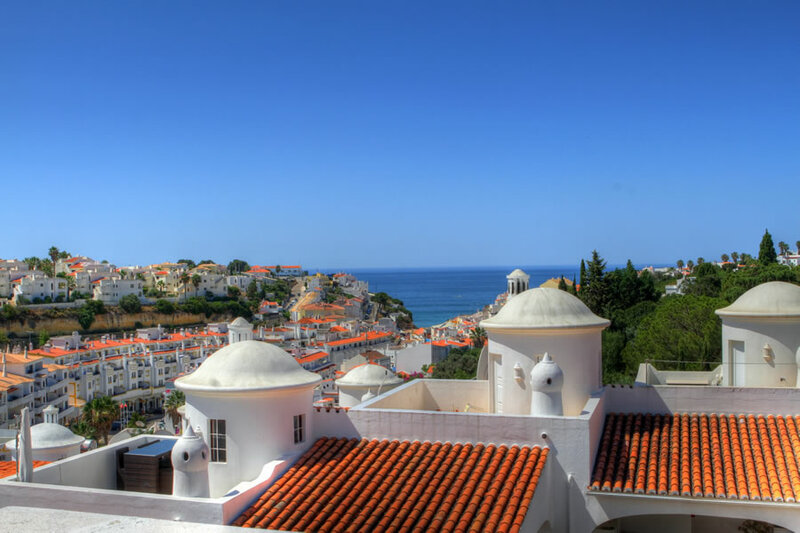 Casa Caravela is a beautiful split level two bedroomed terraced townhouse situated in the Colina Branca area of Carvoeiro, very close to and with views overlooking the town. 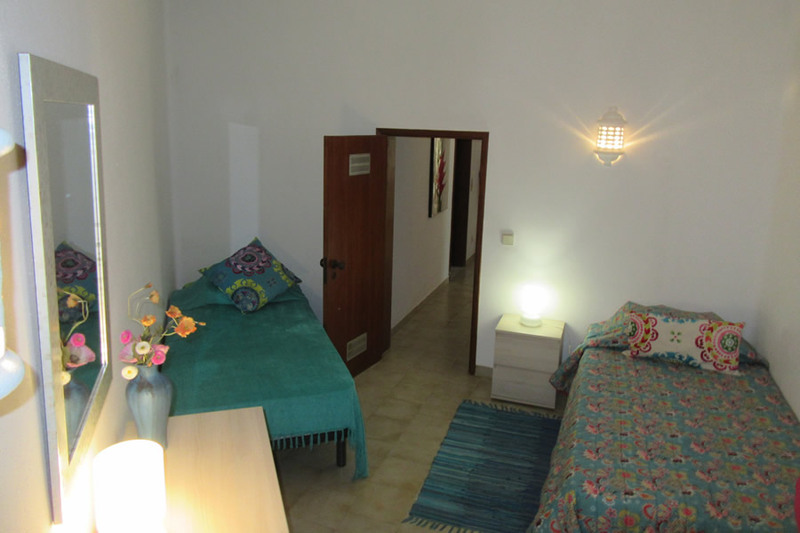 The villa has a newly converted small bedroom, sleeping a 5th & 6th person (there is a small supplement for occupying the 3rd bedroom). 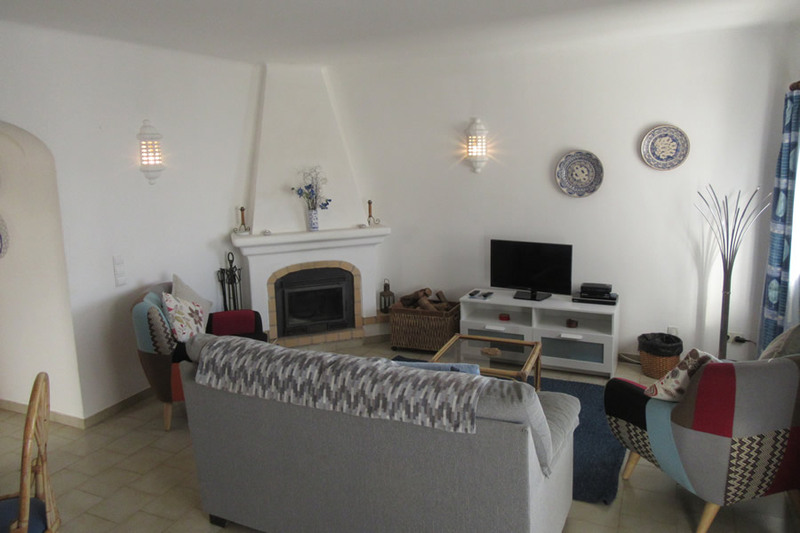 Well presented accommodation on the ground floor consists of a comfortable lounge with dining area and patio doors leading to a sun terrace with BBQ. There is a modern LCD TV with UK TV and a DVD player. 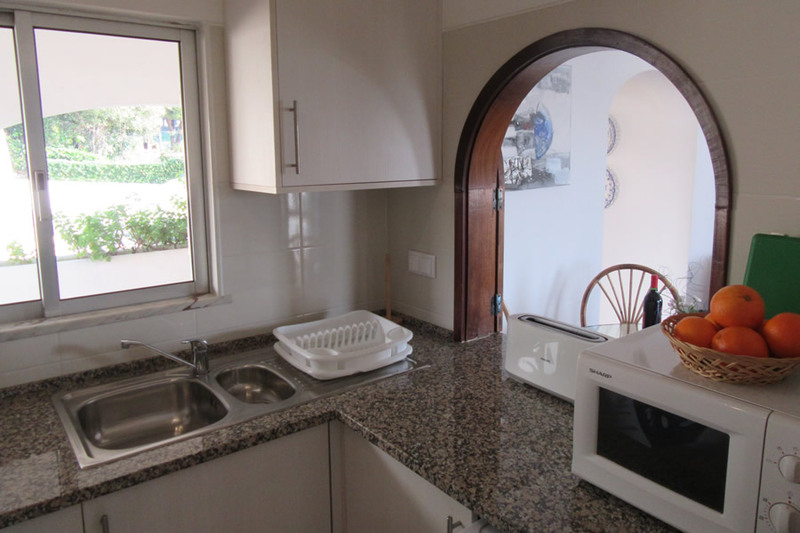 The villa also has free Wi-Fi. The sun terrace has lovely views towards the town. The lounge has a wood burning fire for winter heating. 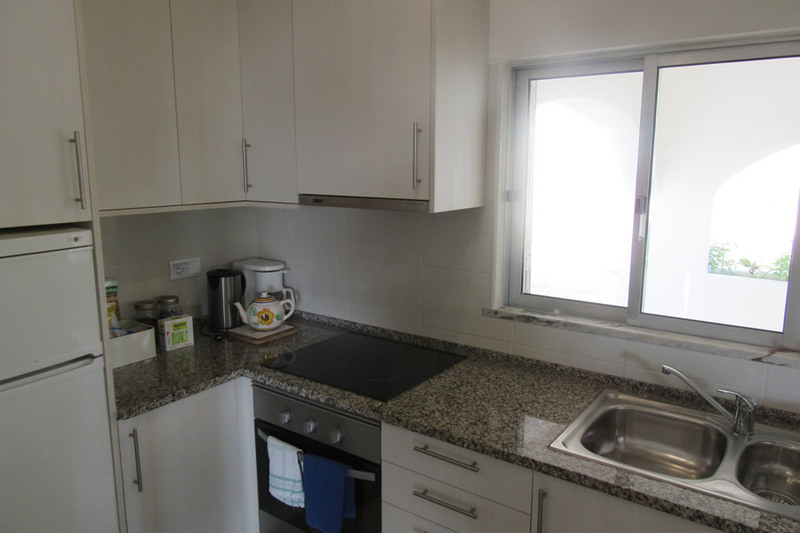 The ground floor also comprises a fully equipped brand new kitchen including ceramic hob, oven, refrigerator, washing machine and microwave. Downstairs consists of two good sized bedrooms with built-in wardrobes. 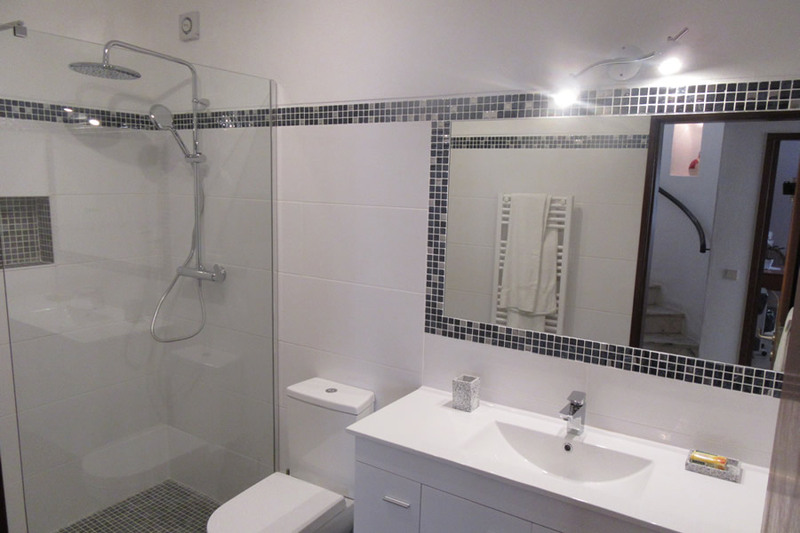 The master bedroom has a double bed and a brand new modern shower room en-suite, the second bedroom has twin beds and there is also a separate brand new refurbished bathroom next door (January 2019). 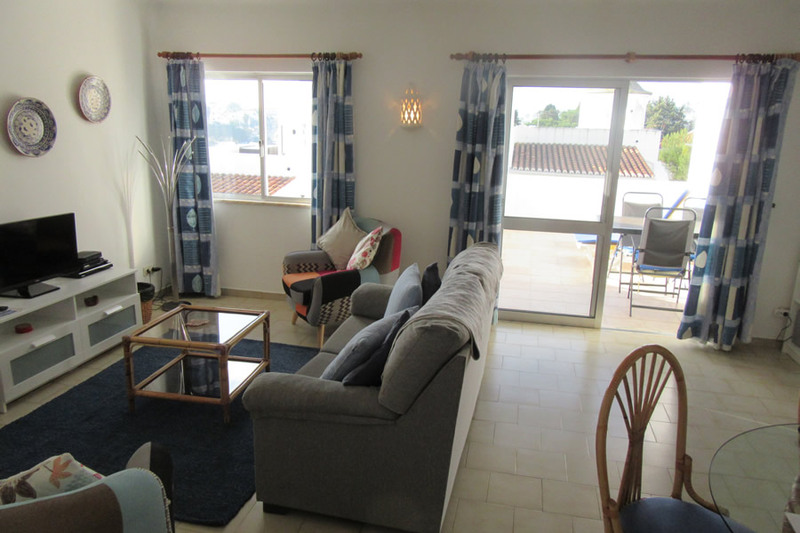 Both bedrooms have patio doors leading to small terraces. 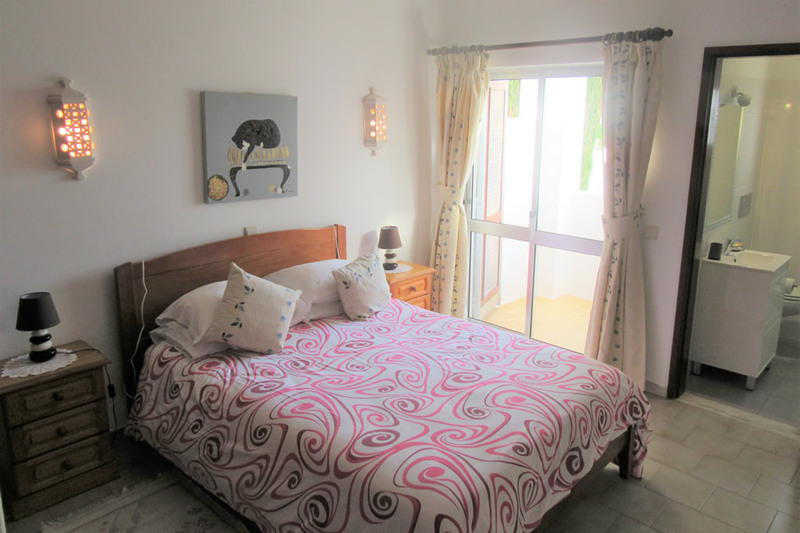 The newly converted bedroom is also in the downstairs area, has two single beds and storage space. Ideal for children. 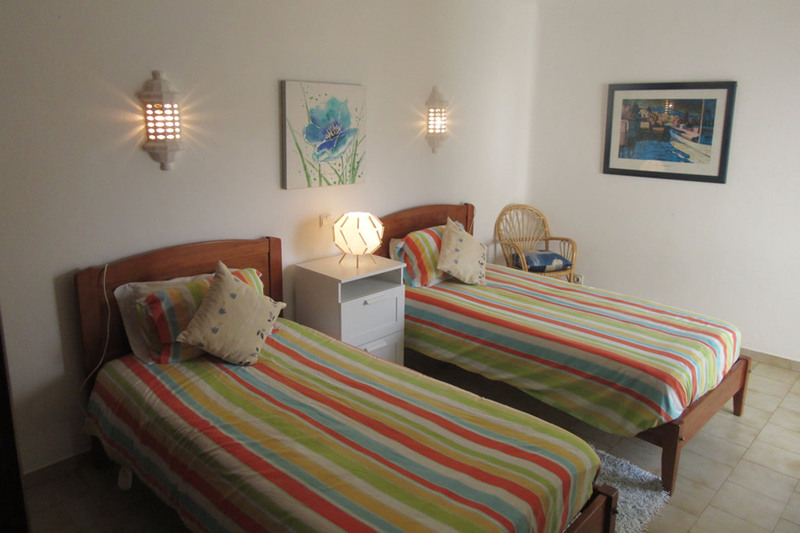 Each of the bedrooms have a fan to keep you cool in the warm summer months. 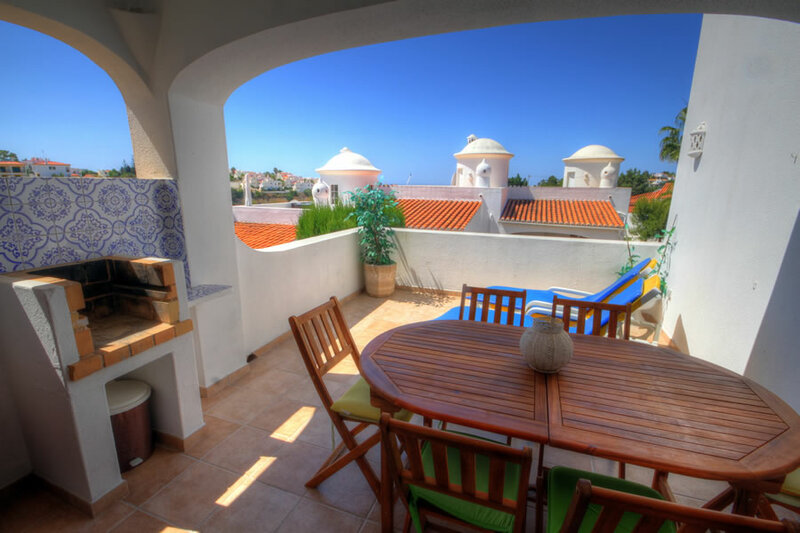 From the ground floor hall there is a stairway to the roof terrace with clear sea views and beautiful views overlooking the town. Outside the main entrance to the villa is also a carport, so any rental cars can be parked right outside the front door. 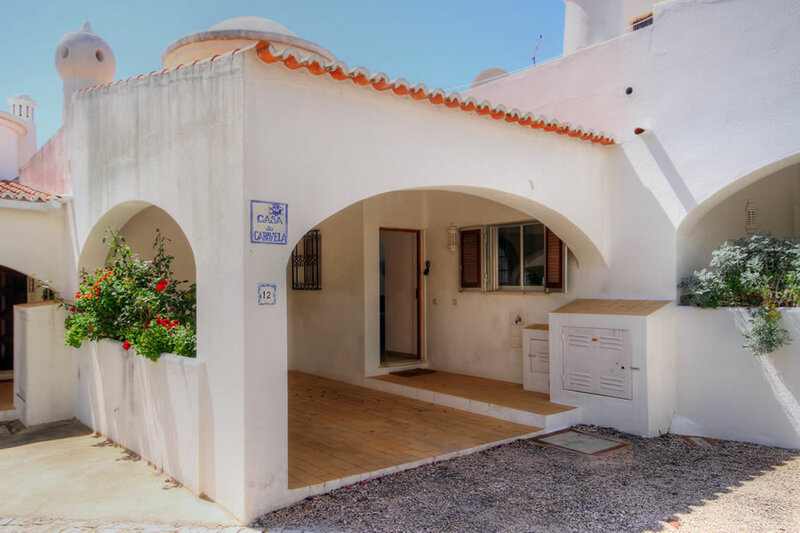 The villa has the use of the communal swimming pool area and is only a few minutes walk away. 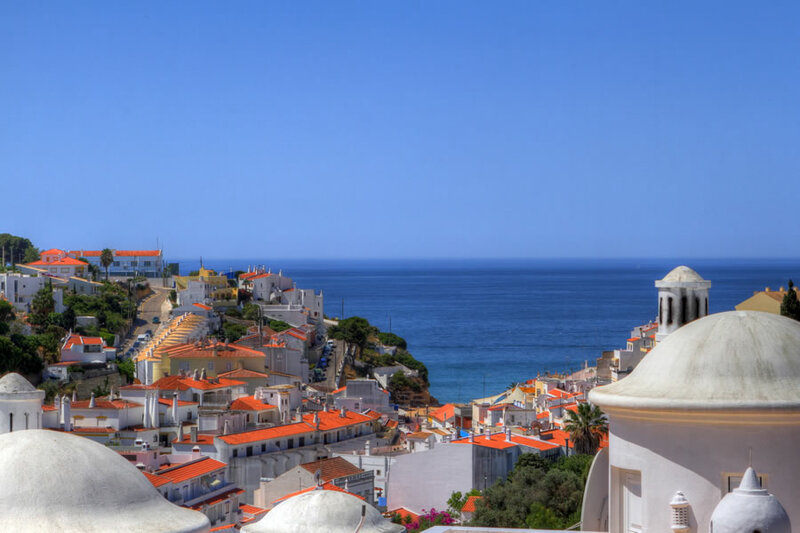 The villa is ideally situated to explore the resort of Carvoeiro. The centre of town, with its varied choice of restaurants and bars, is only a few minutes walk away. 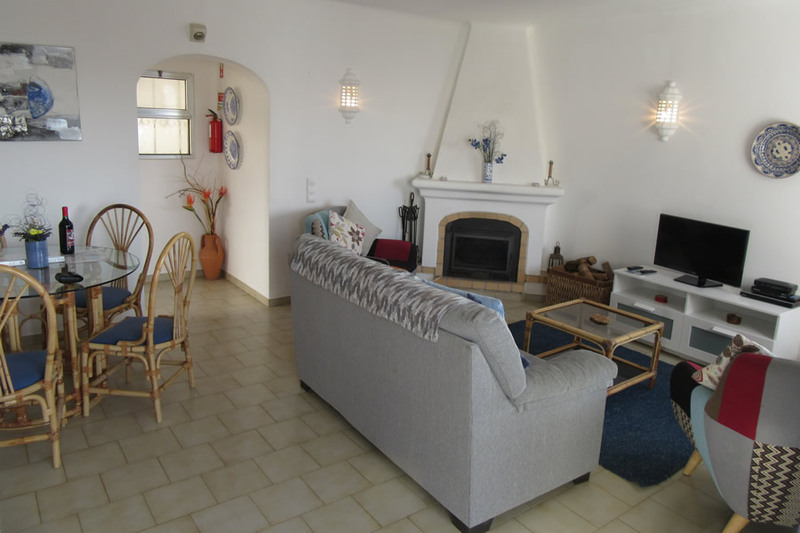 This property is one of our most popular rentals and offers great value and comfort. Prices are per week for a maximum of 5 persons, inclusive of 3 day per week maid service (except public holidays), linen & towels (except beach/swimming towels - these should be supplied by the client). 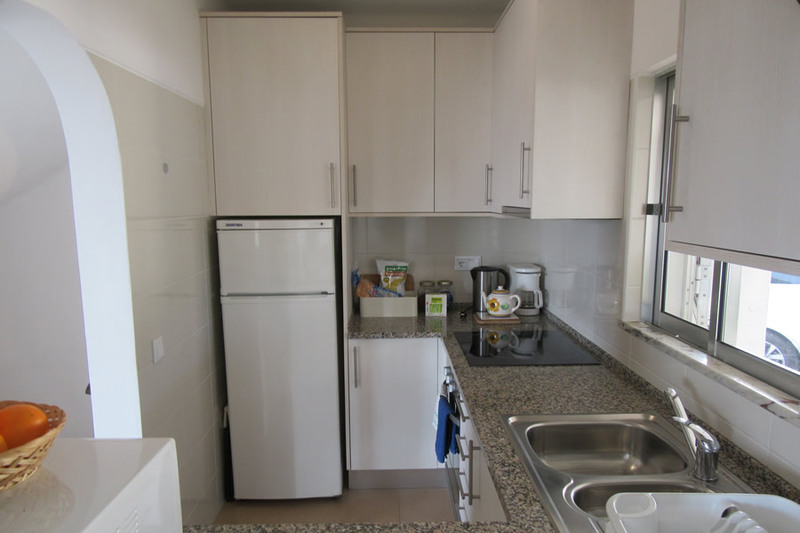 Electricity is included in all rental prices.